Call of Duty: Black Ops 4 is on sale for $51 at Green Man Gaming. Activision’s highly anticipated launch of Call of Duty: Black Ops 4 is just hours away–the official launch is the stroke of midnight (Eastern time) on October 12. If you’ve already picked up your Call Of Duty PC flair, but haven’t got the actual game yet, you can snag it at a discount before the servers go live. Green Man Gaming is selling Black Ops 4 for $51 right nowRemove non-product link. That’s $9 off the typical purchase price of $60, or a good chunk of the price of a kickass pizza–and who doesn’t want pizza for game night? Greasy fingers aside, Black Ops 4 has all the fun you’d expect from a Call of Duty game. Well, almost everything. 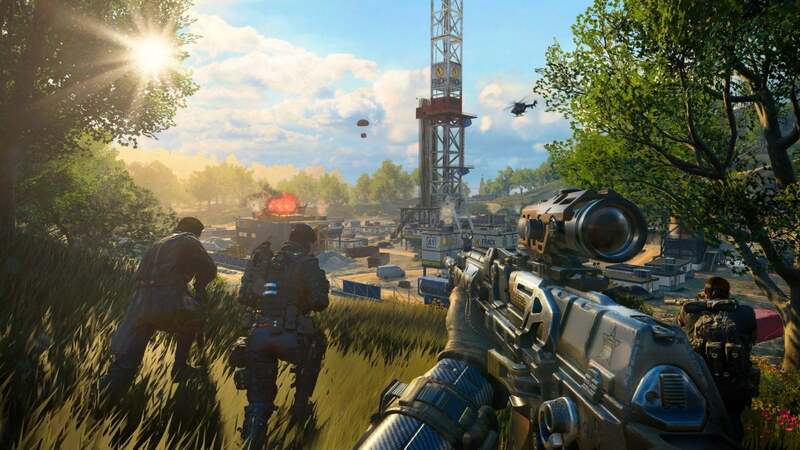 It’s got multi-player combat, zombies, and the new Blackout mode is a battle royale experience that’s a lot like PlayerUnknown’s Battlegrounds without the jank. The one thing you won’t find in Black Ops 4 is a single player campaign. This time around, Activision and Treyarch opted to go all-in on the multi-player battle craze that defines so many popular games have these days, including Fortnite, PUBG, and Realm Royale. Call of Duty: Black Ops 4 should run like a champ no matter what sort of setup you’re rocking. The game includes support for 4K, high dynamic range (HDR), and ultrawide monitors, as well as uncapped framerates.